How Does The Smart Money Feel about This Former High Flier? GoPro Inc (NASDAQ:GPRO) trades at a forward P/E of 14.78 and a PEG of 0.82, the cheapest valuation since the company’s IPO. Shares are off more than 50% this year as investors worry about commoditization and slowing earnings growth. Let’s examine the wearable sports camera company in depth and see how the smart money feels about the former high-flier. We mention the hedge fund activity concerning GoPro Inc (NASDAQ:GPRO) because our research has shown that historically their stock picks delivered superior risk-adjusted returns. This is especially true in the small-cap space. The 50 most popular large-cap stocks among hedge funds had a monthly alpha of about six basis points per month between 1999 and 2012; however the 15 most popular small-cap stocks delivered a monthly alpha of 80 basis points during the same period. This means investors would have generated a double-digit alpha per year simply by imitating hedge funds’ top 15 small-cap ideas. We have been tracking the performance of these stocks since the end of August 2012 in real time and these stocks beat the market by about 60 percentage points (118% return vs. the S&P 500’s 57.6% gain) over the last 37 months (see more details here). While GoPro Inc (NASDAQ:GPRO) trades at its cheapest valuation since the company’s IPO, cheap can get cheaper. Apple Inc (NASDAQ:AAPL), a high quality company with hundreds of billions in cash on its balance sheet and a robust ecosystem, trades at a forward P/E of 11.3, or 23% below GoPro’s current forward valuation. Investors don’t give hardware companies high valuations because their earnings per share have historically tapered off as lower priced competitors eat market share. With Xiaomi having not sold its Yi action camera in the U.S. and Europe yet, GoPro hasn’t faced the entirety of its competition and could see its earnings shrink as Xiaomi enters into those markets. 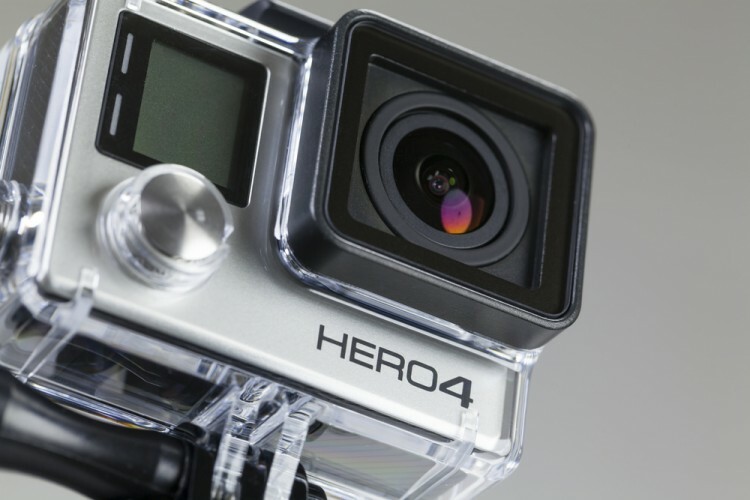 GoPro’s earnings growth could also slow as the sports action camera market becomes saturated. GoPro shares will rally if it shows its earnings are sustainable. The company has beaten analyst EPS and revenue estimates for three straight quarters and would aid the long case by continuing to beat estimates. GoPro’s new product launches will help. GoPro plans to launch the Hero 5, a camera that’s expected to be 50% smaller than the Hero 4 and offer the capability to capture 3D motion and images, in the early half of 2016. GoPro also plans to sell a quadcopter drone in the first two quarters of 2016 as well. With the consumer drone market still in its nascent stages, GoPro has a big opportunity. If management executes well, GoPro shares will reward its shareholders.